Crousen spent 32 years coaching high school track, including a stint at Abilene Cooper, before joining McMurry University in 1998. She still serves as the men’s and women’s track coach at McMurry. 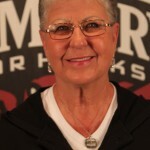 During her time at Cooper, she served as president of the Texas Girls Coaches Association in 1993. In 1995 she was named the Texas Girls Coaches Association track coach of the year and the Abilene Independent School District physical education instructor of the year. At McMurry, her men’s teams won 14 straight American Southwest Conference championships and her women’s teams won 10 ASC titles. 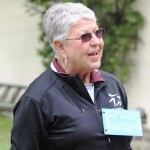 In 2008, she became the first woman to coach a men’s team to a NCAA championship in any sport when McMurry won the NCAA Division III outdoor track championship, a feat she repeated in 2012. Crousen also becomes the first husband-wife combination to be inducted into the Big Country Athletic Hall of Fame. In 2012, her husband, the late Joe Crousen who was a member of a state championship football team at Breckenridge in 1958 and a long-time high school and college football coach, was inducted into the hall of fame.